Receive the keys to a vehicle unlike anything else currently on the market, by purchasing one of our new Vauxhall Mokka cars here at Motorparks. Refined, years ahead of its time, capable no matter where you take it – these are just a few appealing ways to describe the Vauxhall Mokka. What’s more, a series of smooth curves along its exterior body and a rugged design also means that people will always take notice of the new Vauxhall Mokka. So what are you waiting for? Peruse our entire collection of new Vauxhall Mokka cars for sale below and enquire about any that catch your eye online now. 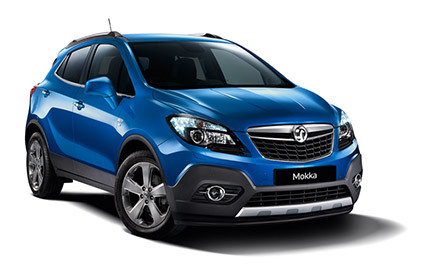 Motorparks is also your one-stop shop for locating used Vauxhall Mokka cars, including many models that hardly have any miles on the clock.